INDUSTRY.co.id - Jakarta- Various survey agencies have issued survey results to the four pairs of Candidates for Governor - Candidate Vice Governor of West Java 2018, related to the potential to win the number one seat in West Java. Almost all surveys have paired Ridwan Kamil-Uu Ruzhanul as the winner and TB Hasanuddin (Kang Hasan) and Anton Charliyan (Kang Anton) as the lowest-rated pyramid from the other three. 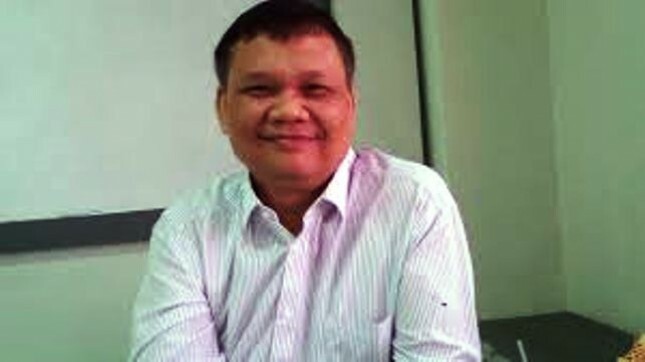 Even so, Political Communication Expert Emrus Sihombing said the survey results circulated cannot be used as a guarantee of victory by the candidate pairs. According to him, the survey results given to the community is only a moment and not done in depth. Thus, it cannot be a decisive victory. "There is no guarantee of winning from the survey results, because it is a moment portrait, it cannot be an absolute grip in determining the winner," he said when contacted via phone on Friday (23/3/2018). Emrus who is also a Graduate Lecturer of Universitas Pelita Harapan (UPH) assessed that surveyors should not only inform their survey results but also describe the methodology used. The methodology, continued Emrus, determines the quality and validity of the survey results. "In addition, we must know who the Assistance is, whether from a neutral group, it should all be dismantled to the public so that the public knows," he explained. Emrus added, the survey results can lead to public opinion in determining the choice. Therefore, he urged, so that the people of West Java more shrewd in determining the candidate leader. According to him, the most important is to choose a West Java leader based on the figure and the program that can be a solution for problems in West Java, not based on survey results. "Which program can be a solution for the people of West Java, then that should be chosen by the people of West Java.Not that those who surveyed better otomotis good program, not necessarily," he said. Hailed, Emrus advised the paslon, not to fall asleep with the survey results and keep working hard to win the hearts of the people. By approaching and embracing the people directly either _door to door_ or assisted through social media. In addition, candidates explain the program directly to the people of West Java. "Programs offered by the program that are measurable and answer the problem of society, not just conceptual and rhetoric," he concluded.